Professor Azizur Rahman has been selected as president of the prestigious Optical Society of America’s (OSA) first local section in the UK. 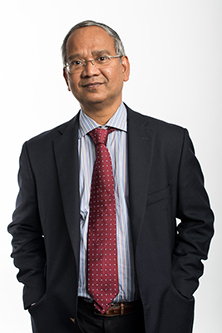 City University London Professor of Photonics, Professor Azizur Rahman, has been selected as the president of the Optical Society of America's (OSA) first UK chapter, the London OSA Local Section. OSA is the most prestigious professional society in the world for engineers, scientists, students others shaping applications and achievements in the science of light. OSA local sections engage in a variety of activities, such as providing networking events for local professionals; teaching students about optics through events such as science fairs, lab tours and classroom demonstrations; and participating in philanthropic deeds. OSA's national organization supports local sections through activity grants, awards, publications, guest lecturer programs, networking opportunities and leadership training. "I am honoured and delighted to be nominated as president of the first ever local UK section. I now have the opportunity and responsibility to serve the photonics community not only in London but also the South-East of England. Together with UNESCO, OSA, the Institute of Electrical and Electronic Engineers (IEEE), The International Society for Optics and Photonics (SPIE), have all jointly declared 2015 as the International Year of Light and Light-Based Technologies. I would very much like to lead the new UK section in the provision of services to photonic societies; organise inspirational seminars for PhD students; and lead focused workshops, career development for young post-doctoral students to place City at the centre of these activities." Professor Rahman and his colleague, Dr Arti Agrawal, are joint authors of the text book, Finite Element Modeling Methods in Photonics (Artech House). For more information on City's research into photonics and sensors, please visit this weblink. Please visit this weblink for further information on OSA. Go to this weblink to learn more about the 2015 International Year of Light.